It’s #MayhemMonday, and, you’ve got a dilemma. 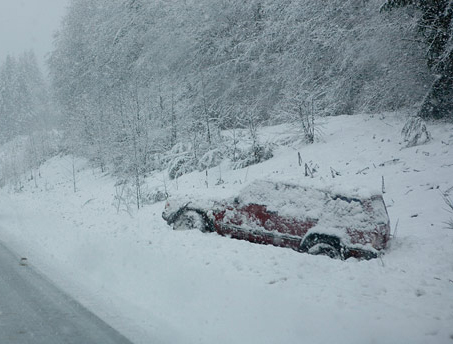 Your car is off the road in a snowbank, and the snow keeps coming down. Do you accept a ride with a creepy stranger or wait it out?